NEWPORT BEACH — The sale of the famous Balboa Fun Zone carousel that provided thousands of pony rides for residents and visitors in Newport Beach over the years has fallen through. Fun Zone Rides owner Patrick Moore said the ride was sold last year, and it was scheduled to be relocated to a new development site in Westminster. Moore said the sale agreement fell through at the “midnight hour,” as the buyer blamed California’s recent budget cuts that have eliminated redevelopment agency funding for projects like the one planned for Westminster. The iconic ride, which was installed at Balboa Peninsula’s Fun Zone in 1985, was put up for sale on eBay Aug. 12, 2011 with a starting bid of $149,000. 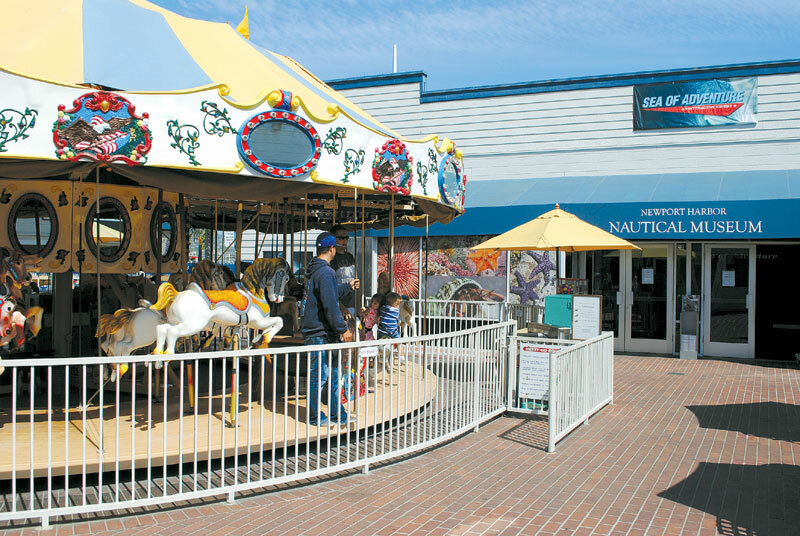 The decision to sell the carousel came after Moore learned the Newport Harbor Nautical Museum, the site’s current landlord, would not be renewing the lease. “I had to hustle to get the whole carousel back,” Moore said. “I now have it safely stored, along with our spare Ferris wheel.” With the carousel and ponies now back in storage, Moore would like for the carousel to be relocated within the Fun Zone area, but with the museum’s impending development plans for the site, it appears unlikely. “My next goal would be to sell it to someone who could keep it local — relatively, anyway,” Moore said. The Balboa Fun Zone area has been diminished since the Newport Harbor Nautical Museum moved from the decks of the former Reuben E. Lee paddlewheeler into buildings that once housed the famous Dark and Scary Ride and the adjacent bumper cars. With the carousel removed, the remaining Fun Zone attractions include the arcade, the waterfront Ferris wheel, a trampoline and a boat rental facility. The museum’s proposed $35 million project was unveiled at its 25th anniversary celebration last October, following the Fun Zone’s 75th anniversary celebration in September.